Long John Silver’s, where just about everything on the menu has that same golden-brown color. 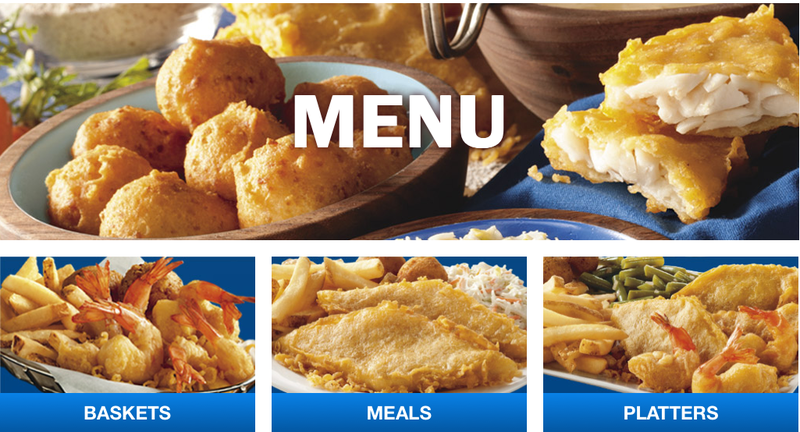 Earlier this summer, Long John Silver’s — which a number of readers were surprised to learned still exists — was upside the head with a huge cod when its Big Catch meal, complete with two weeks’ worth of trans fats, was dubbed the Worst Restaurant Meal In America. Today, the chain announced it has decided to follow in the footsteps of others in the fast food industry and only use cooking oil that doesn’t contain trans fats. In a statement, LJS said it had already ceased using trans fat in areas where laws outlawed its use, so at least we know the company wasn’t breaking the law. Starting in September, LJS eateries in the rest of the country will begin transitioning away from using trans fat. At first they will only be using the trans fat free oil on items that aren’t batter-dipped, like fries, hushpuppies, clams, crab cakes, catfish and breaded seafood products. The goal is be trans fat free on all products by the end of 2013. “The move to trans fat free cooking oil is part of the evolution of Long John Silver’s to a contemporary, relevant seafood brand which we began in 2012 after becoming an independent company,” said Mike Kern, CEO of Long John Silver’s. The Center for Science in the Public Interest, which made headlines when it found that the Big Catch contained 16 times the American Heart Association’s recommended daily maximum intake of trans fat, was pleased today’s announcement. Previous Should Eating Food Out Of The Trash At Work Be Grounds For Termination?